GEAR JAMMER is an impressive medium-fawn son of Shiftin Gears. 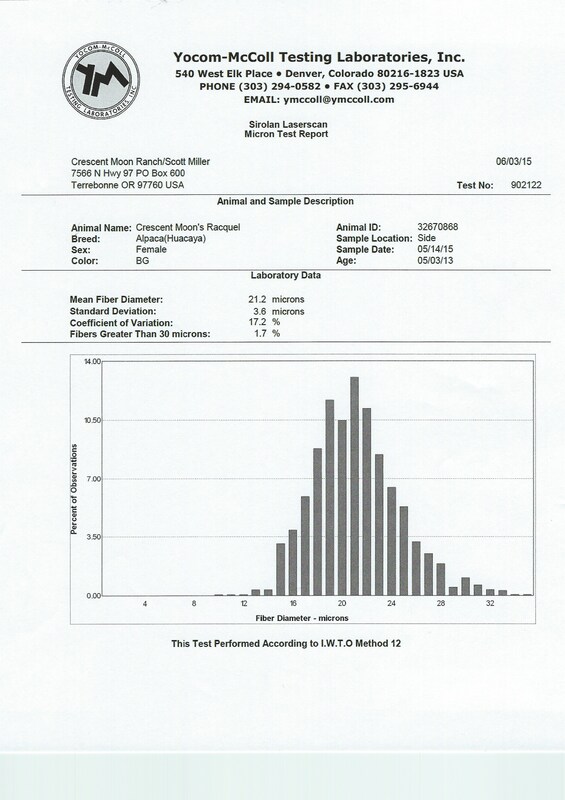 With Elite and Pacalily on the top side and Chaccu and Legacy on the bottom, GJ clearly came by his championship-winning characteristics honestly. Scott Miller says of Gear Jammer that he is "Maybe one of the best we have ever produced. A magnificent fleece over a well proportioned frame and supplying a great disposition. GJ’s cria are everything we had hoped for. Apparently this line is potent!" 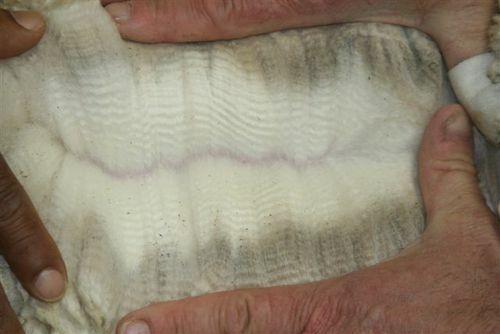 His fleece is very consistent (CV of 17.2 at five years). 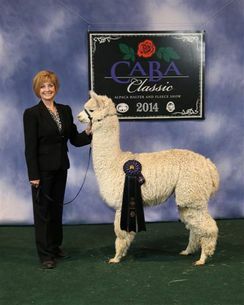 The fleece judge who awarded him 1st Place at the CABA Classic a few years ago said on the scorecard, “beautifully fine, soft, uniform, bright fleece,” and she awarded him 20 out of 20 points for fineness. 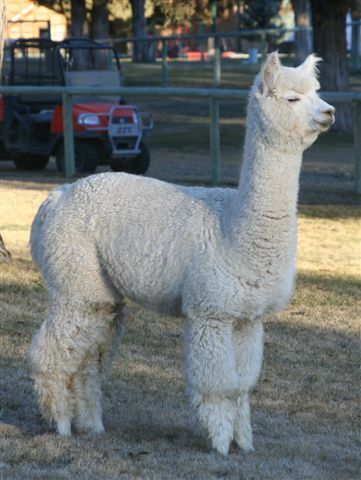 This male also produces a big fleece, including his juvie fleece, which weighed in at 8 pounds. 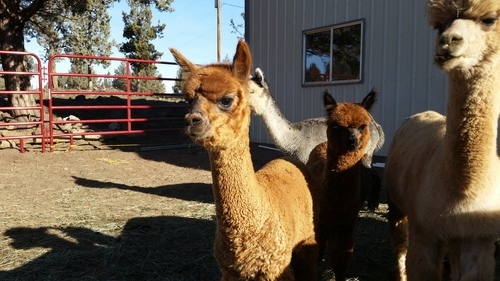 GJ sires handsome alpacas with good coverage and bone size, and easy-going personalities, just like their dad's. This beautiful four time first place winner is about to have her first cria out of Nitro, a four time, True Black Champion. Nitro has a long history of producing Champion and first place winners like STLR Comet, Greener Pastures Nitra, Red Granites Bristol, and many more. Racquel, will be our next female to give birth, scheduled to deliver July 15th. Can't wait to see what this Black and Beige combo produce!!!!! Update, July 21st, Racquel gave birth to a Beautiful Dark Fawn baby Boy. 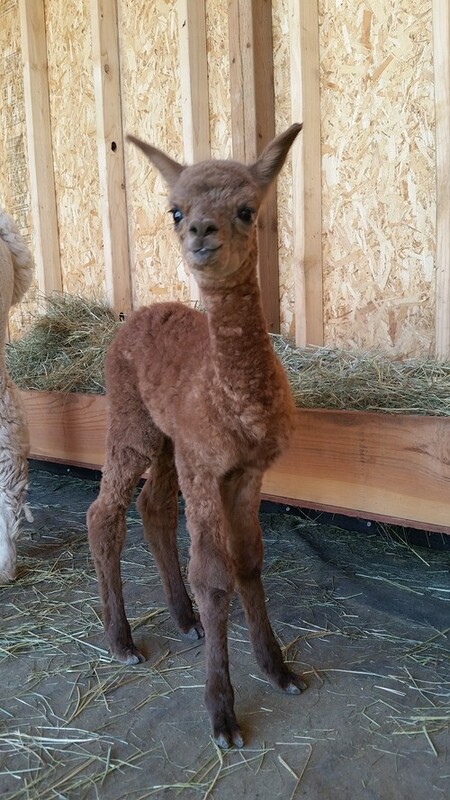 What potential this cria has. 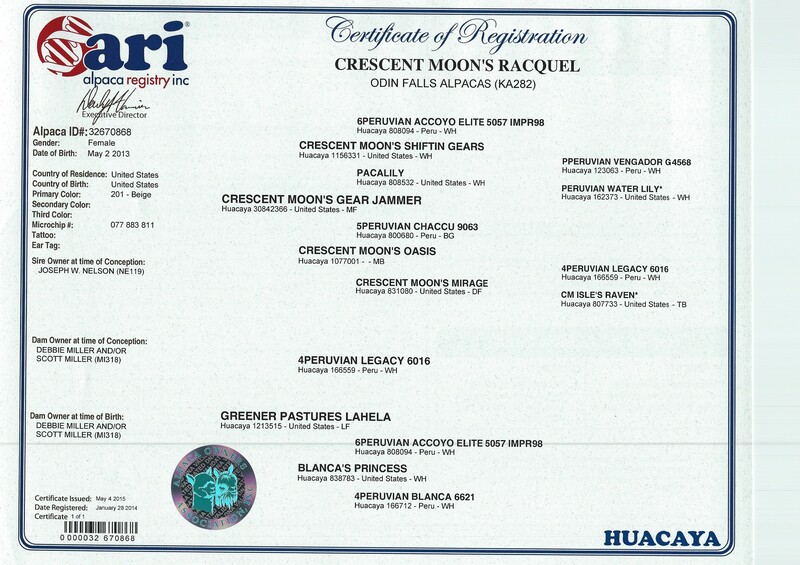 Let's take a look at his lineage on his Father's side, Sire: Crescent Moon's Nitro, Champion and Multi-Blue Ribbon Winner, Paternal Grandfather: Crescent Moon's Kryptonite, again Multi-Champion and First Place Winner, Paternal Great Grandfather: 4PERUVIAN LEGACY 6016, 27 awards for Get of Sire, 21 of which were 1st & 2nd's. Now lets look at Mom's side, Dam: Crescent Moon's Racquel, shown 4 times with 4 Blue Ribbons, Maternal Grandmother: Champion and Multi-1st & 2nd Place Ribbons, with EPD's off the charts, Maternal Grandfather: Crescent Moon's Gear Jammer, 6X Champion, Multi-1st & 2nd Place Ribbons, Paternal Great Grandfather: Crescent Moon's Shiftin Gears, 7X Champion, again with Multi-Ribbons awarded. So what do we end up with? 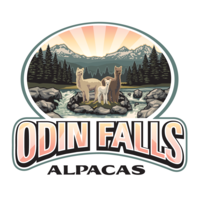 "Odin's Asgard". I can't wait to see what this wonderful Genetic mixture has created!!!!! 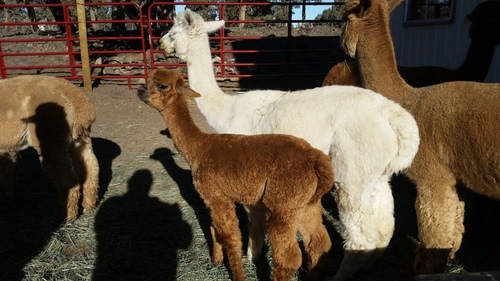 Racquel has been breed to Crescent Moon's Accoyo Augustine for her 2016 Cria, should be an incredible pairing.